FORWARD Ep. 33 Not the Last Straw: Restoring Japan’s Reed Fields | jibtv.com | Japan International Broadcasting Inc.
Straw-thatched roofs are emblems of traditional architecture in Japan. The largest river in Tohoku, the Kitakami River, had been a major production area for a material used to make these roofs. 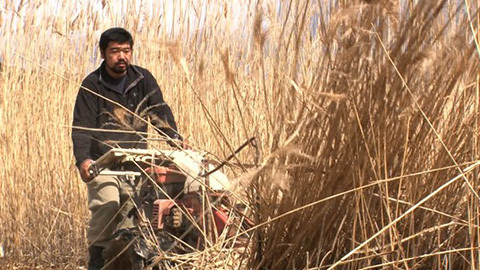 However, the tsunami swept away almost 70% of the Common Reed nurtured along the river. Straw-thatched roof craftsmen are working to restore the fields.